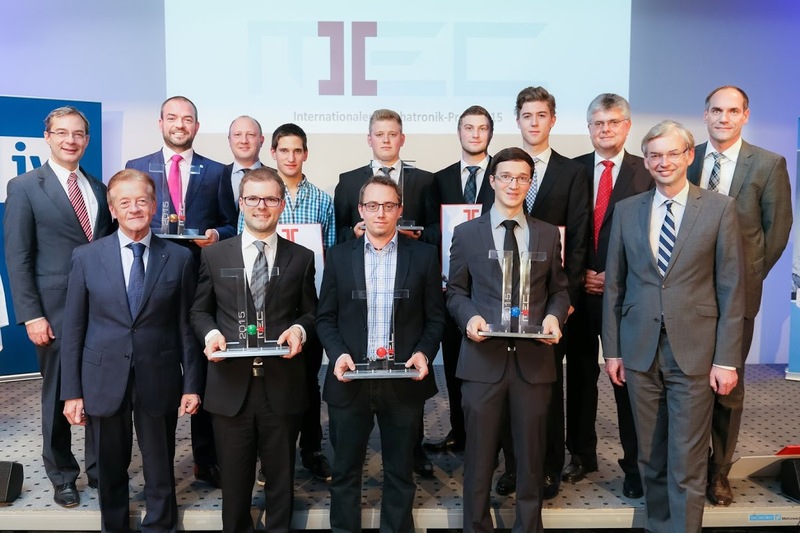 On 19 November 2015 the International Mechatronics Prize (MEC) was awarded for the 10th time at the Siemens Forum in Linz. The Mechatronics Prize is an award for young mechatronic technicians in recognition of their final technical college projects, masters degree theses and dissertations. On this occasion, though, another special prize—’Industry 4.0’—was also awarded: this is an award for outstanding achievements relating to the implementation of Industry 4.0 measures at companies and research institutions in Upper Austrian. The winner was HALI office furniture. One of the highlights of the evening was the keynote speech held by Erik Schindler M.Sc., the manager of the Technical Integration department of BMW Group Research and Technology in Munich. His speech, ‘The Path to Autonomous Driving: Who Will be Steering Our Vehicles in the Future?